Words of my wonderful sister Sally who writes beautifully about our sister Cathy who was taken from us too soon. Not just too soon, but too abruptly. She lived a heroic life and we miss her. I found myself lost in old photos and memories, wishing my little sister back. She protected me when she helped us find food. She sat close to keep me warm. She kept me company in a cold, dark basement. She distracted me from my growling stomach. She came home from California that first time. She moved to Colorado for summer camp with me in the mountains. I, pregnant, went to her in California to care for her after her surgery. She came to Colorado to meet her nephew, Jared. 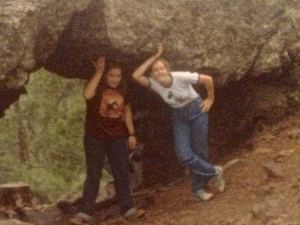 She drove to Allenspark and Yuma, time-after-time to care for Jared, and Alex, and me. She stood up to him. She kept care of little Alex in that park in Wray. She bought groceries or pizza or ice-cream. She came over just to spend time. 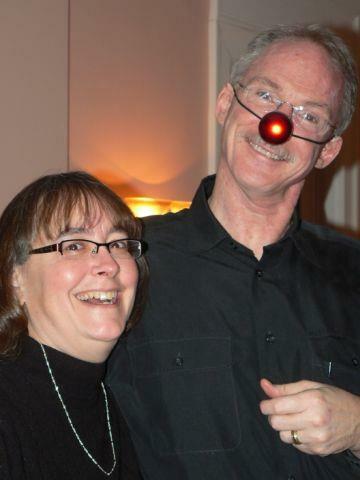 At a West Hills Church staff Christmas party at my house, probably Christmas 2010. For many years I have written an end of year poem for the pastor at my church. 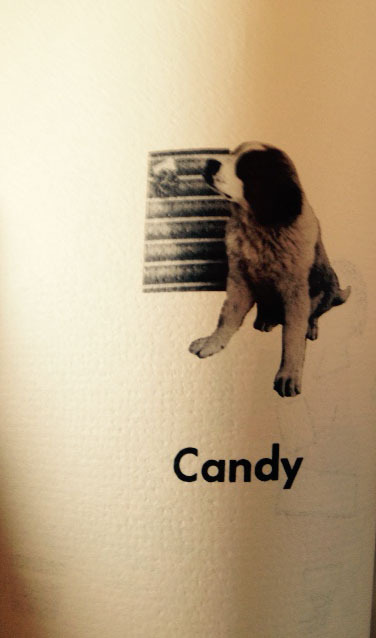 It started kind of innocently and not deliberately around 1997 or so. Doctor Seuss-like verse pops out of my fingers without thinking most days. That year I had become more involved here at my church and really started listening to the sermons. By listening, I mean absorbing. So, George Moore was our pastor then, and he was the inspiration. He had spent many sermons trying to get us to understand the word incarnational. That word and the word relational were the two words that really described our church. Well, once we understood what they meant! So that Christmas I began to understand how the two went together and how we define our life here in this community of worship and faith. I also realized the two words made a great rhyme! I don’t have that poem as I wrote it out longhand in his Christmas card that year, the first time I wrote him a poem, and the first time I gave him a Christmas card. And that continued all the way through 2011, when he preached his last Advent series. He had one ready for 2012, but sadly, he died on November 24, 2012, before he could give it to us. 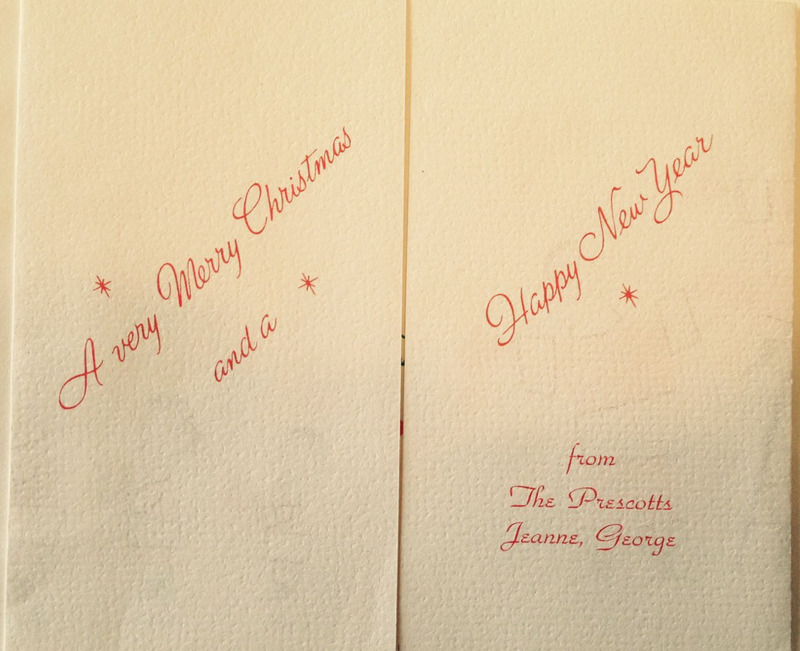 I wrote one for the associate pastor that year; I’m not sure she appreciated it like George did. She never said anything. I wrote one for our interim last year, and I would say the same thing. I realize neither of them is George, and no one can ever take his place. I used to put it on his desk between the two late Christmas Eve services with a little gift. This year I’m not writing one. There just hasn’t been any inspiration. Maybe it’s me. My heart is in a very sad place right now. My friends and sisters and brothers in Syria and Iraq are not experiencing a silent night. I take hope from the fact that they are still there worshiping the same God who came to earth as an infant. I take hope in the fact that their voices are still lifted in worship. I take hope in the fact that they are still there serving those living through these days. But my heart is not inspired to a Christmas poem this year. 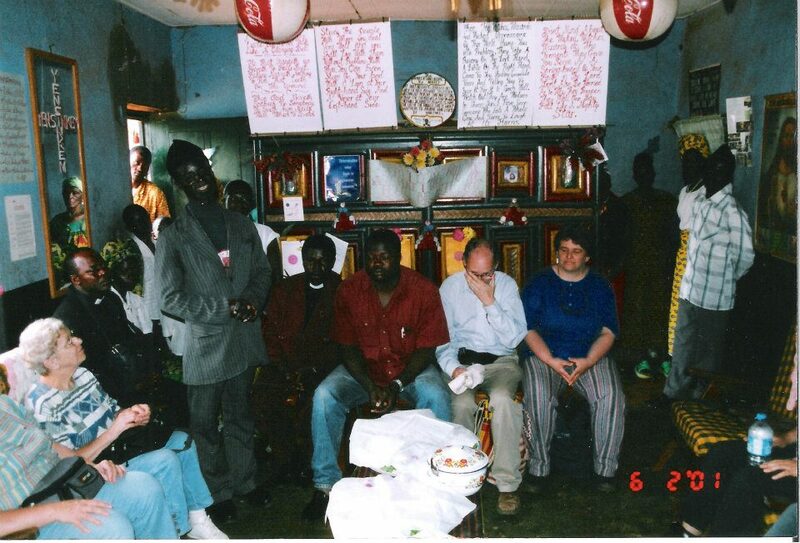 Inside Joe Mbiy’s home in Kumbo, Cameroon, summer 2001. This was the second time I had met Joe. The first was in Germany the year before. He has now completed seminary and been ordained as a pastor in the Presbyterian Church of Cameroon. Joe is one year older than me, making him 57. His birthday is tomorrow, December 22. He had a fourth grade education when he asked me if my family might see the way to help him achieve his dream by attending seminary. I asked him how it was possible if he only had a fourth grade education. He said he would work to get his equivalency diploma allowing him to take the entrance exam. Thinking this was a total impossibility, I told him we would pray about it. If he could make it that far, we would take him the rest of the way, never believing myself that it was possible. Well the poem indicates that Joe did make it. He worked to get his equivalency diploma, all the time he was a father, grandfather, farmer and Sunday school agent for his church, the Presbyterian Church of Cameroon. He made it through seminary, and graduated at the top of his class. Steve and Jana and I supported him for those four years of seminary and he worked as hard as anyone ever could. Two weeks ago, we sent him an ordination gift. He is now Reverend Joe Mbiy. This poem is for those two pastors from two different continents who inspire me even today. One has gone home to be with Jesus, and one is in Africa, six time zones to the east. As I walked in, I grabbed for a cart. There were brothers and sisters, fathers and mothers. And Santa’s line, it has no end. This is how we have spent December. It’s Christmastime! The lights! The splendor! The shopping that’s a never-ender. And when I return my purse is empty. and yet I wonder, should it be different? I took a step and emptied my heart? A Christmas worth remembering, God’s ideal. And bear his son, this plan to start. Allowed room for this holy presence. Her soul glorifies the Lord most holy. They showed God’s plan on how to live. I can give to just one, it’s a step; it’s a start. I can give even more, maybe even the rest! Is about a little babe born to set it all right. It’s him we should worship, much more and not less. He spent all he had, his life, in his giving. To show us the way to love while we’re living. I should look forward, and not second guess. I look in my cart to see what I’ve amassed. I’ve worshiped in Basra, I’ve gone where he’s sent. I’ve given my all in ways I can’t measure. That the love of my Jesus, is all that I need. And that’s what he asks when we answer his call. That’s what you told me, at least what I think! That’s your gift to me in this month of December. It surely will be a Christmas to remember. 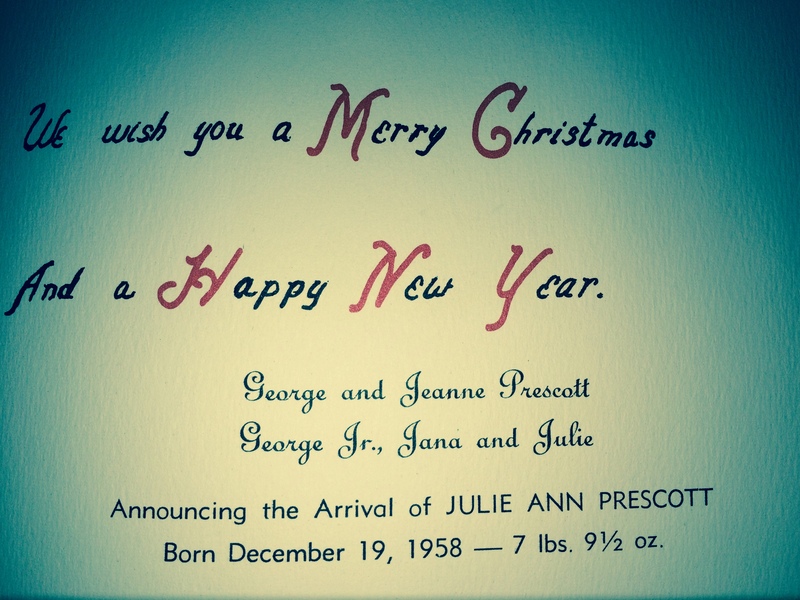 My mom and dad got married on September 17, 1955, and my brother George was born eleven months later on August 4, 1956. And the other six of us arrived one at a time over the next eight years: Jana on November 19, 1957; then me on December 19, 1958; Susan on April 9, 1960; Mike on September 17, 1961 (yes, child #5 came on anniversary #6); Sally on July 24, 1963 and finally Cathy on December 7, 1964. 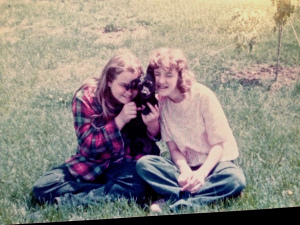 Birthdays were pretty spread out, with only Cathy and me sharing a month. Yes, we each had a special day to celebrate. And today is mine, December 19, 2014. I am 56 today. But the name of this blog is “The Birthday Season.” And because my birthday is so close to Christmas, I celebrate a birthday season and not just a day. Let me tell you why. My birthday and Christmas are intertwined. 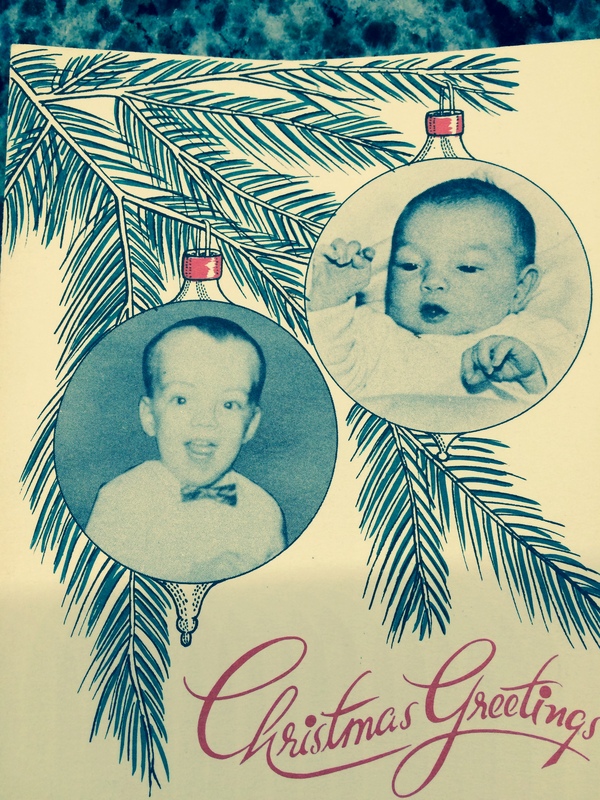 My birth announcement inside the 1958 Christmas card. 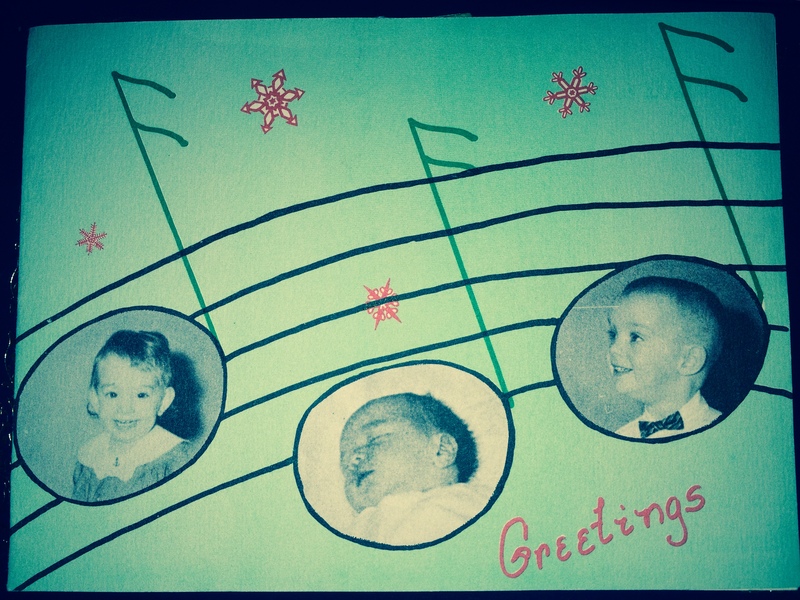 And so the very first celebration of my birth was Christmas Eve, 1958. And as I look back, I think that is very special. I have a birthday celebrated over the course of days from the 19th of December to the 24th. 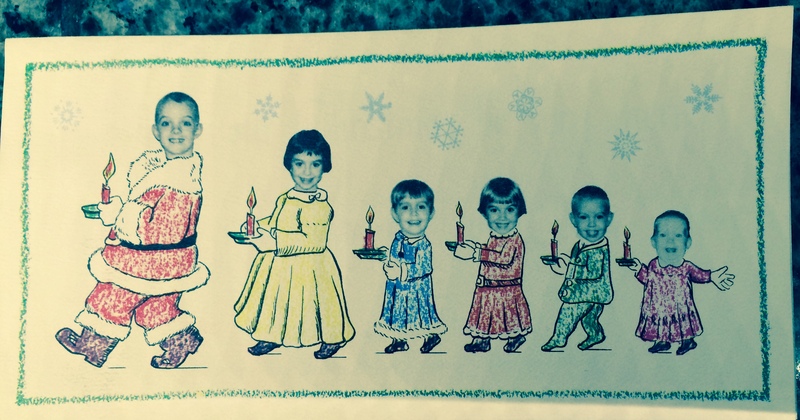 My mom and dad used to create their own Christmas cards every year. My dad was a printer after all. It’s not so unusual in this day and age to do that with electronic files and digital printing, but back in the days of letterpresses and newspapers cuts, it was quite a process. I have copies of most of those cards. The only one I am missing (and it makes me very sad) is the one from 1964 when Cathy would make her first appearance. I am working on finding one. I always loved these cards when I was older. I inherited the boxes of old pictures and cards and report cards and communion certificates. There are copies of pictures of us with good face shots. Some of the copies are missing the heads as they were used as the pictures that Daddy would use to make the printing plates or cuts. Years later when Jana and I became roommates we decided to revive the tradition. 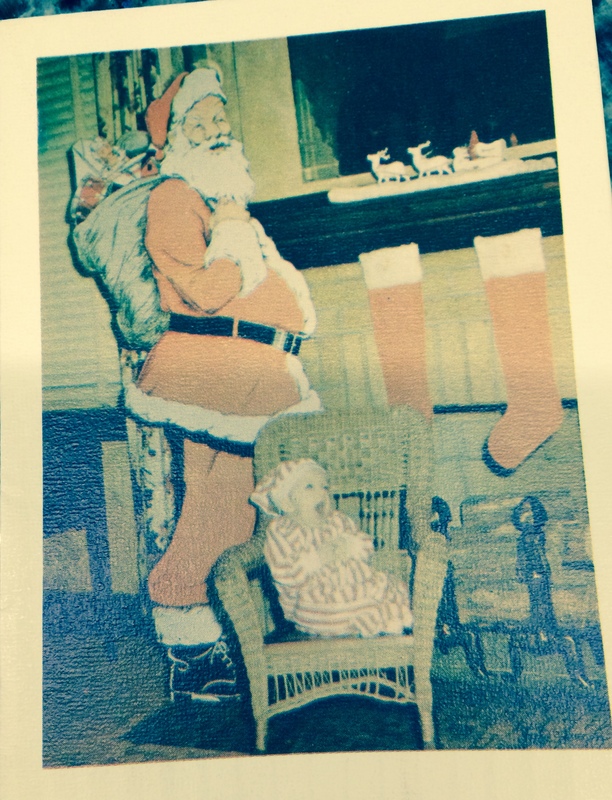 We have a whole series of similar cards with our heads cut into Christmas scenes along with our two dogs. But let me get back to my birthday (she said selfishly). Today is my birthday, the beginning of my birthday season. In 2001, my idea of a birthday season was reinforced when I spent the Friday night of my birthday week with a new person. Steve. My birthday was on Wednesday that year, but who goes out for a birthday date on a Wednesday? Steve had made plans to take me to a wonderful, expensive, dress-up kind of restaurant on Friday to celebrate my birthday. We went to the Flatiron, a dark, romantic place, with Christmas lights twinkling inside and out. We had wine. We had duck. It was just divine. And then he took me to his house to give me a birthday present. It was a Christmas CD of the Trans Siberian Orchestra. “I remember that you said ‘O Holy Night’ is your favorite carol and it’s on this CD,” he said. “I love that song! Thank you so much. I can’t wait to get home to listen,” I replied. I was sitting on his sofa, marveling that someone like Steve would give me a birthday present of a CD with my favorite Christmas carol. It’s good to have a birthday season! And the next moment he was on his knee. 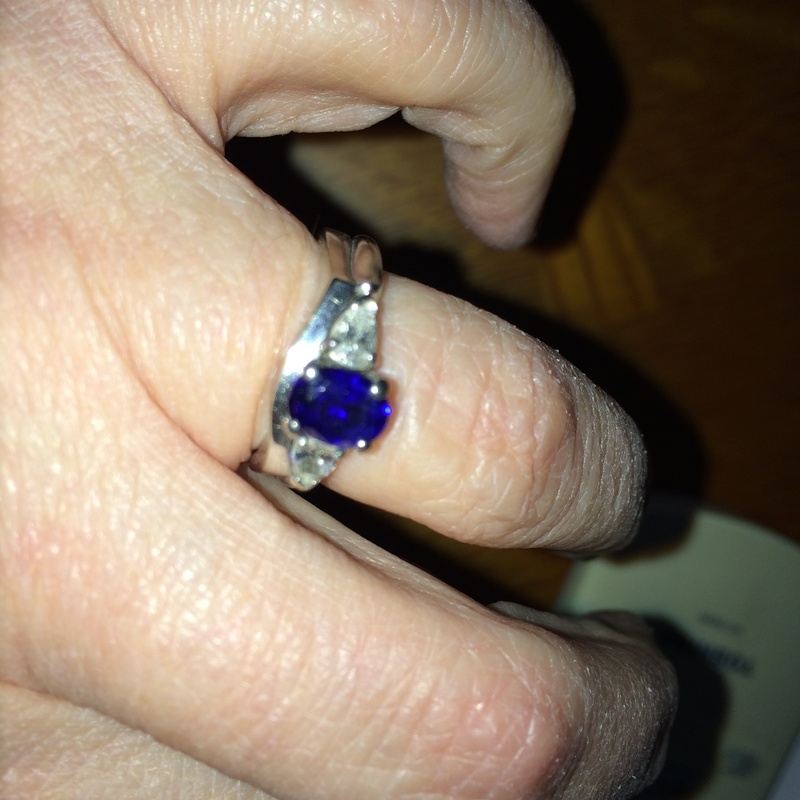 And then that ring with a bright blue piece of the sky was on my finger. “I was wondering if you would marry me?” was the question. He did both. And I said yes. That was thirteen years ago, and tonight we are going back to the Flatiron to celebrate my birthday in the midst of my birthday season. 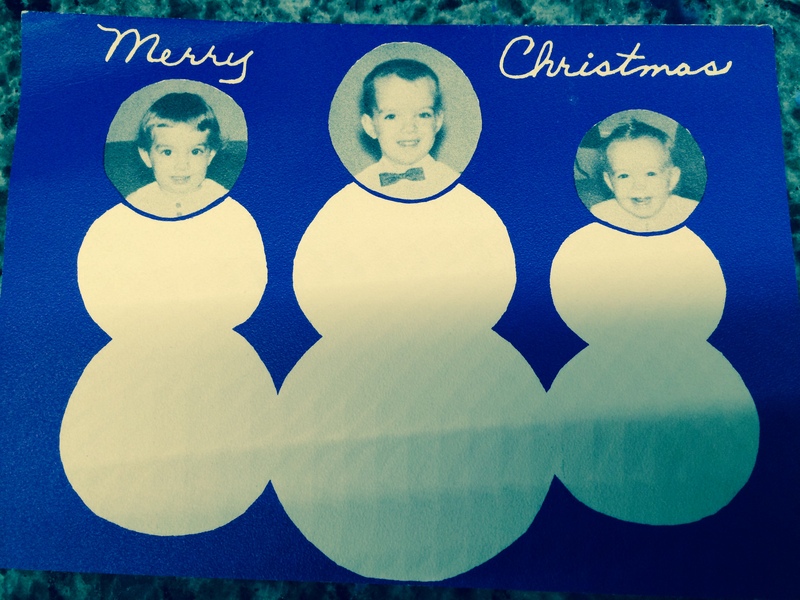 I look back at all those old Christmas cards and marvel that the little girl whose picture showed up in the 1958 card, who made her entrance before Christmas so she could celebrate as part of a family, is the same woman with the piece of sky on her finger, in love with a saint who shares her life every day. Somehow all those years later he has kept up my birthday season and made it even that much more special and sparkly. And all I can say is, “Happy birthday to me.” And it is. And I am, happy, that is. And I’m ready to celebrate. Traveling to the Middle East has been a life-changing experience for me. 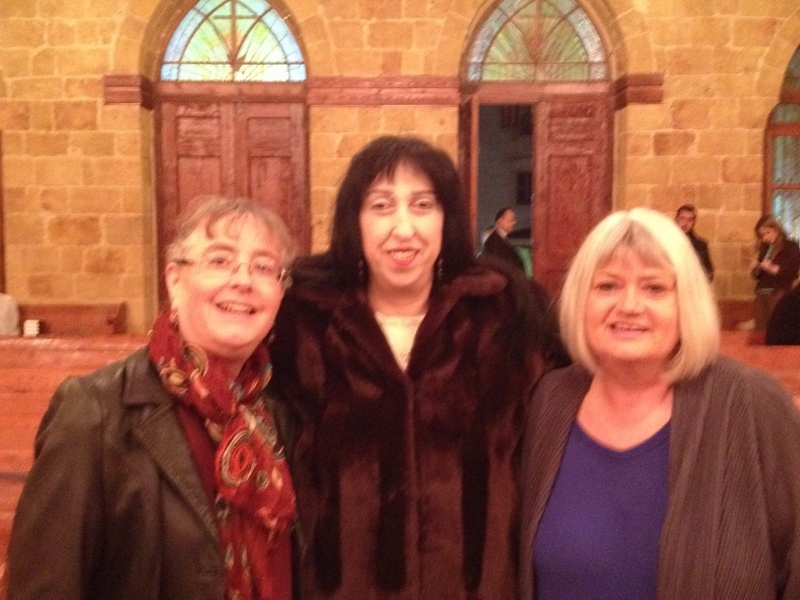 I have gone to Lebanon, Syria and Iraq a total of seven times since August, 2010, when I traveled for the first time with The Outreach Foundation and my new friend, Marilyn Borst. I have gained more friends on those trips that I am so grateful to be connected with by email and Facebook. And, of course, reuniting with them when I return. Back on that first trip in August, 2010, I traveled with a group of women – faithful women – as the trip was called. They were all veterans of short-term mission trips to places all over the world. They had been to Cuba, Russia, Malawi, Pakistan, North Korea, Israel/Palestine, Iraq, Lebanon, Syria…and many many more places. I had been to Germany, the Czech Republic and Cameroon on similar trips. But this one was new for all of us, except Marilyn of course. We were traveling to be connected with Presbyterians (like us!) 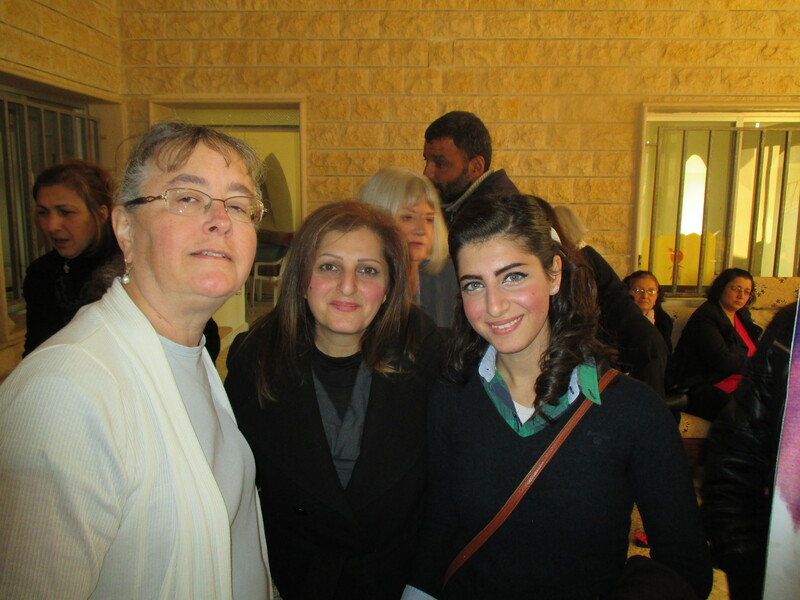 in Lebanon and Syria in the National Evangelical Synod of Syria and Lebanon (NESSL). We got a great overview of the history of the Synod: how Presbyterians from the U.S. came to the Middle East to convert Muslims and Jews to Christianity. Upon arriving, they found no Jews to speak of and also there was this small thing about it being illegal to convert from Islam to something else. Illegal as in the death penalty. Instead, they reached out to the ancient Christian community already there – Melkites and Maronites and Syrian, Orthodox and Catholic – and built schools and hospitals. The reformed church was planted alongside the ancient, and that is how it still is today. We visited historic sites in both countries. We shopped in souks. We met with Iraqi refugee families. We visited schools. We sweltered in the 115 degree summer heat. We bonded as a community of friends, sisters in Christ. We ended that trip in the mountains above Beirut at the Dhour Choieur Conference Center to be part of a women’s conference, just like we would have at home, only in Arabic. (They translated for us.) We sang worship songs. We delved into a Bible study about the fruit of the spirit led by my new friend Barbara Exley from Atlanta. She had brought pounds and pounds of Jelly Belly jelly beans in flavors to represent the fruits. For instance, watermelon jelly beans represented patience. It was the most joyful and sweet-filled Bible study ever! Part of the grace of being in the Middle East is the mindset of hospitality and gift-giving, and it played out at this conference just like every other place. We made friends with women. We traded little gifts. If you admired someone’s bracelet or earrings, she would immediately remove the item and give it to you. Amazing grace in the form of jewelry. And that is how I met Lamis Bitar from Lattakia. She was tall, statuesque actually, with beautiful dark hair and eyes. Her smile came slowly, but when it did it was genuine. She and I became friends on that weekend and in the generosity of these people, she bestowed upon me the earrings she was wearing. And then the conference ended and we made plans to do it again in 2011, with even more women, perhaps from Iraq. And we went back home to the USA. And then March, 2011, came and war erupted in Syria. There would be no women’s conference in Syria, and we would not return in 2011. I would wear those earrings at home. Precious they were to me. Every time I put them in my ears I would think of the fun we had at that Bible study with the Jelly Bellys and I would see Lamis’ face in my mind, her beautiful face with the slow smile, and wonder about her in Lattakia. I would pray. I would tell people where those earrings came from if they admired them, and I would ask them to pray for Syria. I wondered what had happened to Lamis Bitar. And then just this past month, November, 2014, I had the opportunity to return to Lebanon and Syria with The Outreach Foundation. Steve was with me and Marilyn of course (our fearless leader) and Barbara. 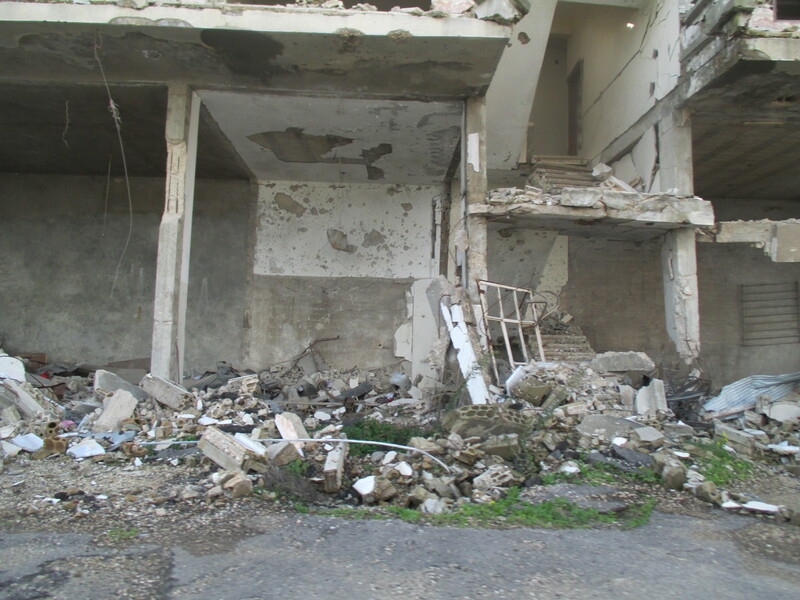 We walked through the streets of Homs in Syria, looking at the devastation from three years worth of bombs and mortars, but also seeing the churches beginning to rebuild. There was some hope there. You can read about it in my previous blogs. Joyfully, we were set to visit our friend Rev. 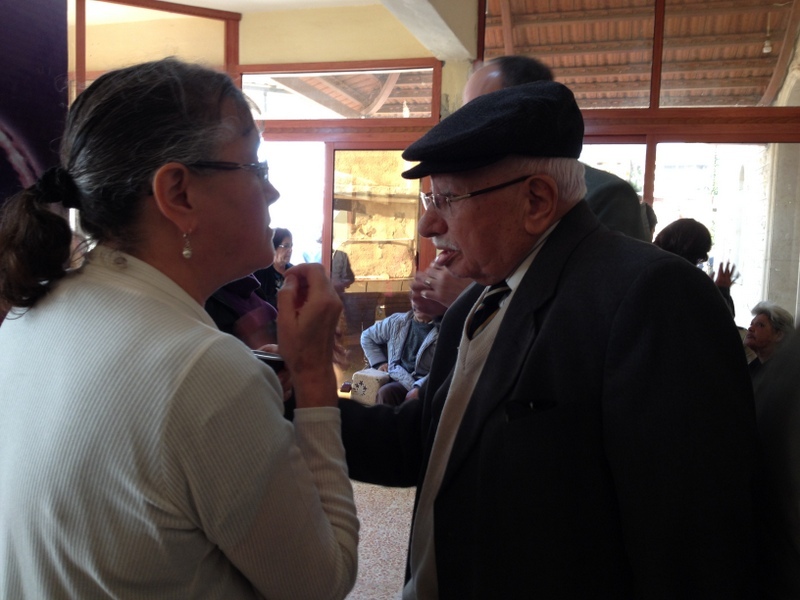 Salam Hanna who is the pastor of the Presbyterian Church in Lattakia. It was Marilyn’s first time in this city, although she has been in Syria many, many times. So, of course, it was our first time there as well. It is a beautiful old church, renovated in the last couple of years by its previous pastor. It is also the largest church in NESSL, and we expected a large turnout, and there was one. I wore my earrings from Lamis, hoping against hope that she was still there and had not already departed for another country. And in the gathering darkness of night, in the midst of a rainstorm that should have kept everyone away, there she was. My friend Lamis had come to meet the American Presbyterians and I recognized her right away. Tall. Statuesque. Dark hair. Dark eyes. Slow smile. Amazing grace. We hugged. We reminisced about that women’s conference with the jelly beans. We locked eyes as friends and hugged some more. It was just a moment of pure joy for us both. And that is why I go. 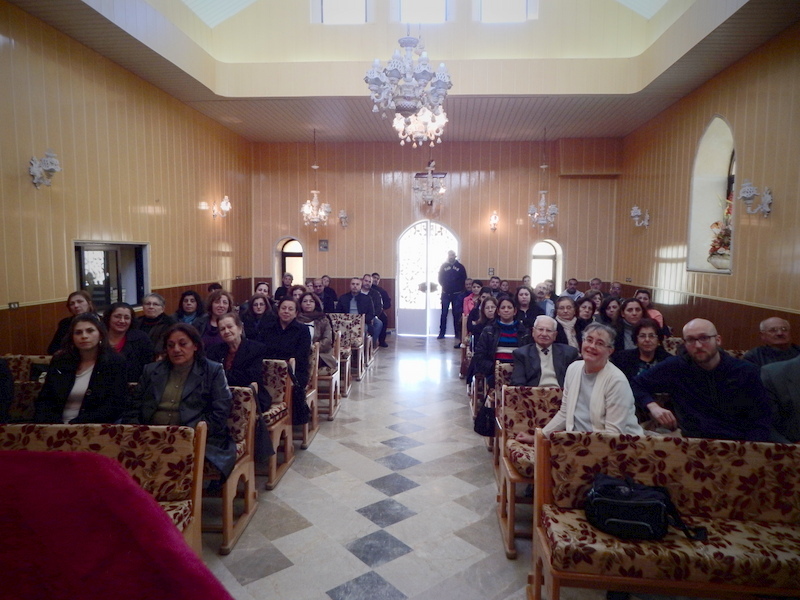 I go to be “with” and to come home, responsible for remembering the people and their stories and to remind the church here at home that there is a church serving in Syria in the midst of war and death and loss and lack of food and fuel and electricity. They are the hands and feet and heart of Jesus walking and loving among those who need the light. And Lamis is one of them and I want you to remember her name and her face and her life. And I want her to remember me. In addition to the earrings which I was wearing, I now have a beautiful bracelet with a cross. And Lamis has my watch, set to the time in Omaha. When she looks at it, she will know that she has a friend and prayer partner eight time zones to the west who loves her and remembers her. Lamis, my sister in Christ. Please pray for her and for her church and for her country.